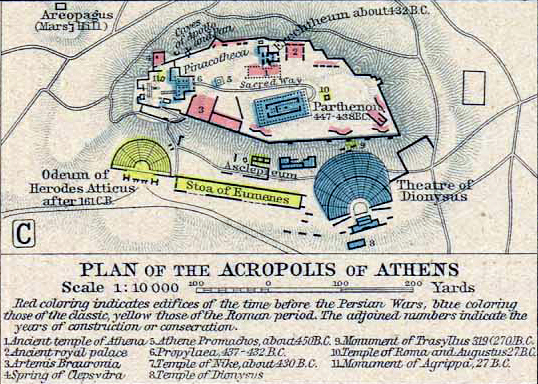 Historical Map of the Acropolis of Athens around 200 AD. 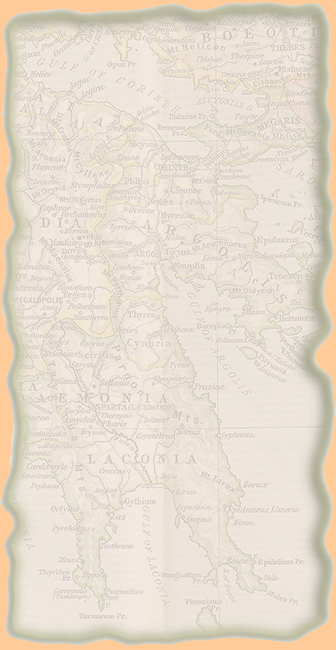 5 Athene Promachos, about 450 B.C. 7 Temple of Nike, about 430 B.C. 9 Monument of Trasyllus 319 (270) B.C. 10 Temple of Roma and Augustus 27 B.C. 11 Monument of Agrippa, 27 B.C.